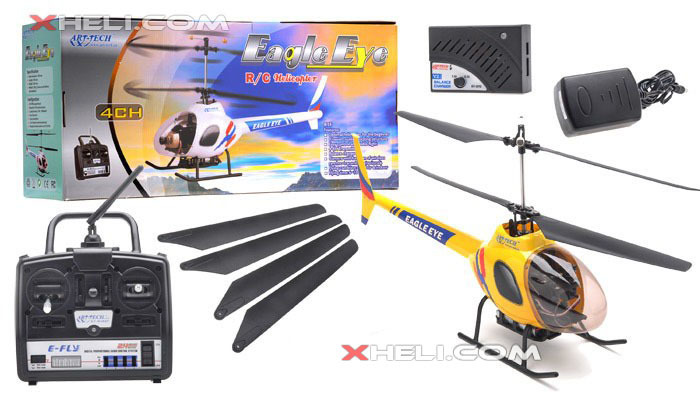 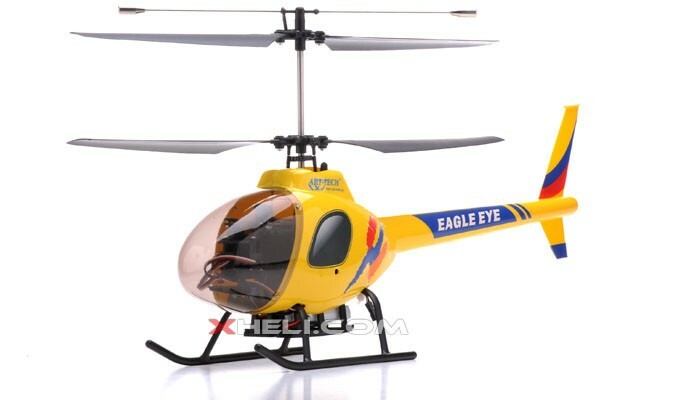 This is the brand new 2.4Ghz 4 CH Eagle Eye Twin-Rotor-Coaxial helicopter. 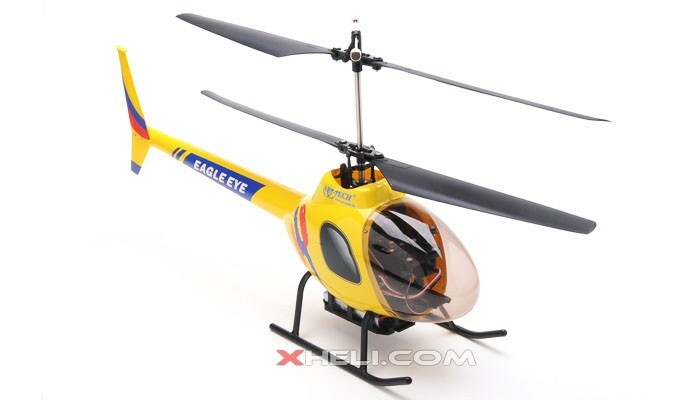 This helicopter is one of the largest dual-rotor in the market. 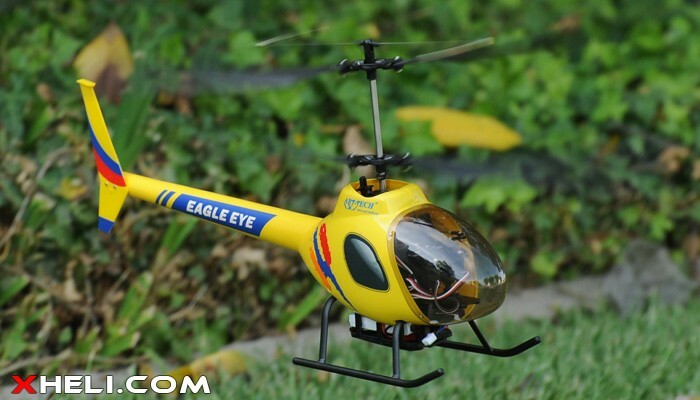 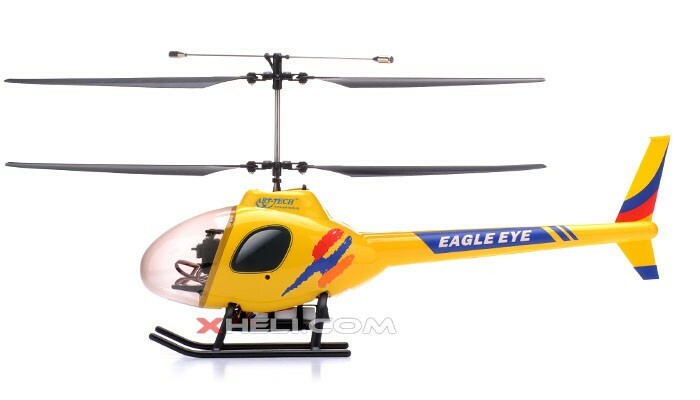 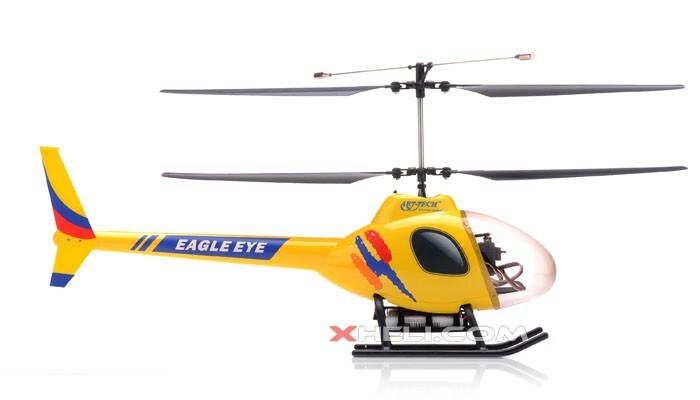 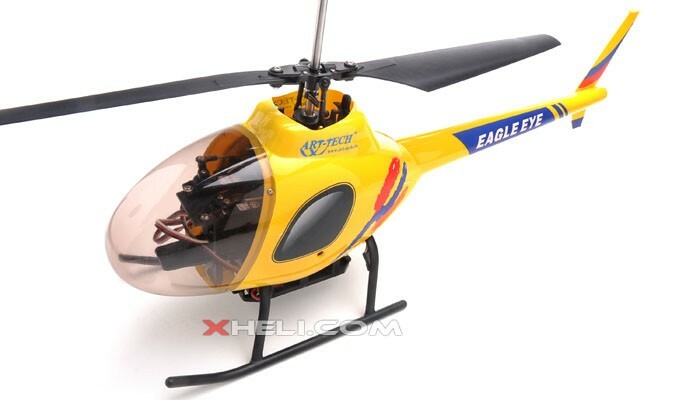 The Eagle Eye is a beginner-friendly rc helicopter enjoyed by inexperienced/experienced flyers. 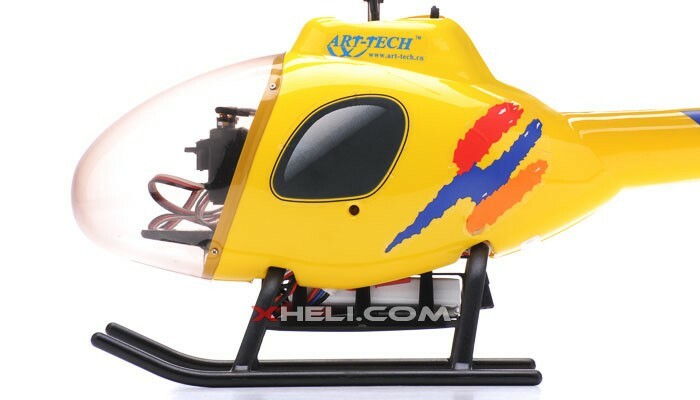 Its unique design makes it easy to configure, control, and more fun to fly. 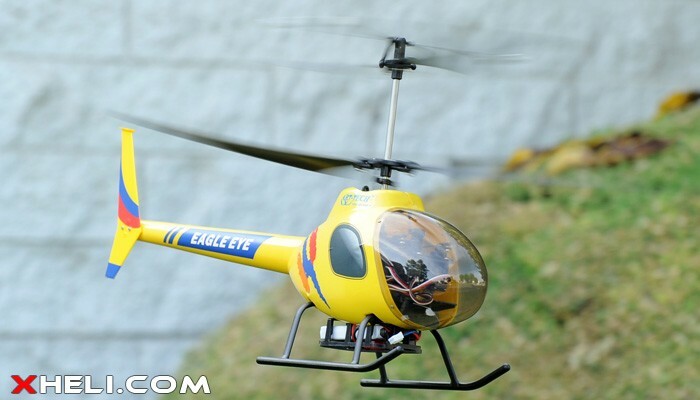 It is designed to train pilots and entertain them by delivering a stable flying platform capable of controlled indoor and outdoor flight course . 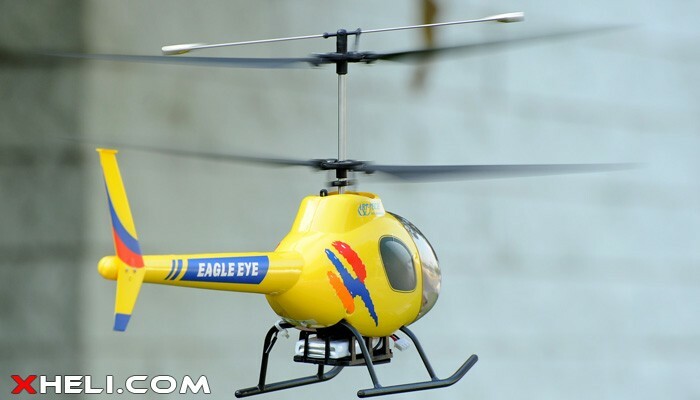 The Eagle Eye has two sets of main rotors and a freewheeling tail rotor that does not affect flight. 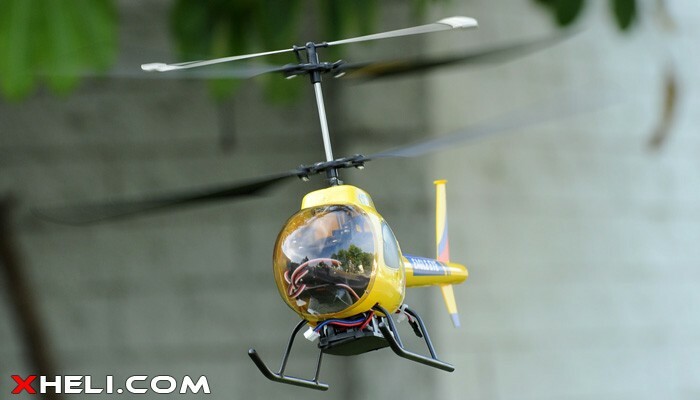 The counter-rotating main rotors eliminate the need for tail rotor compensation because they move in opposite directions, canceling each other's rotational torque . 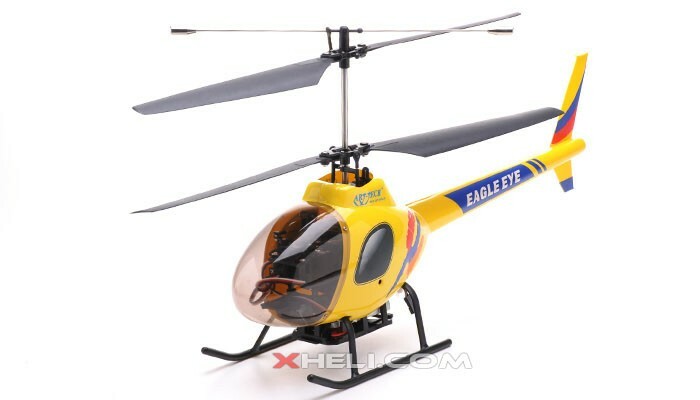 In addition, the blade sets give it an added bit of gyroscopic stability, which allows mere mortals to hover it with prowess. 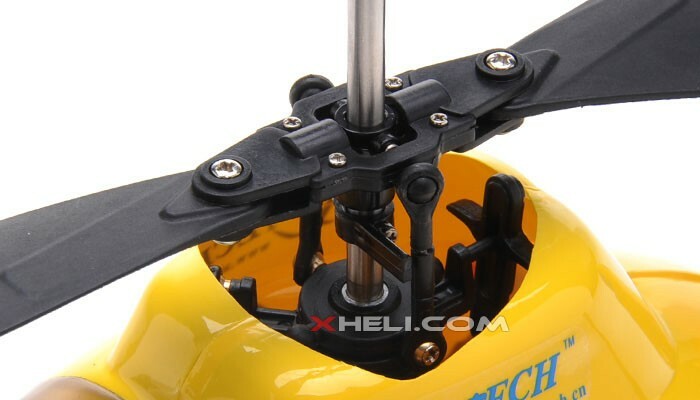 The lower rotor provides cyclic control for the heli. 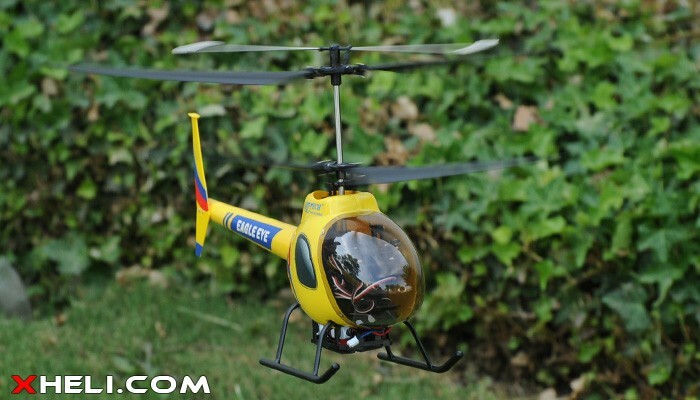 To yaw the helicopter (left and right), one of the main rotors either slows down or speeds up to create an imbalance in torque. 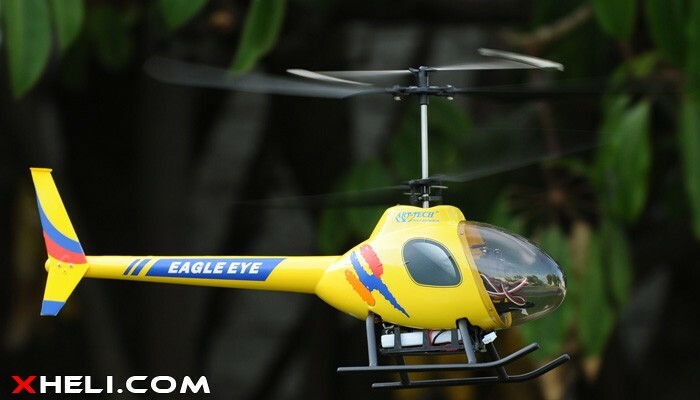 This results in the Eagle Eye turning in the direction opposite to the rotation of the faster moving rotor. 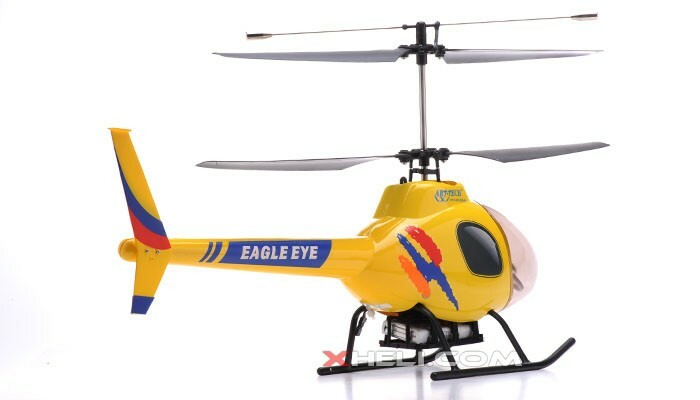 Since the Eagle Eye is fixed pitch, collective control is governed exclively by throttle. 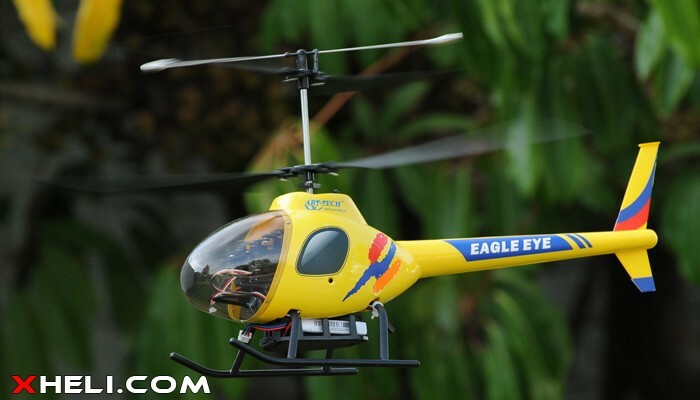 On the Eagle Eye, the roll cyclic is a bit more responsive than its pitch cyclic (fore/aft control). 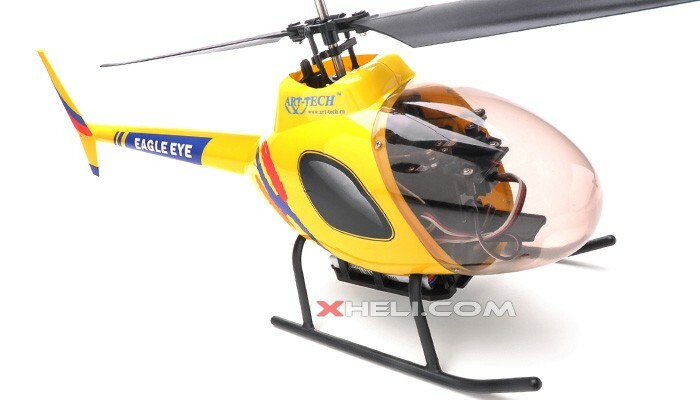 This is because the very small range of cyclic control can more easily roll the heli than it can pitch it along the length of the body. 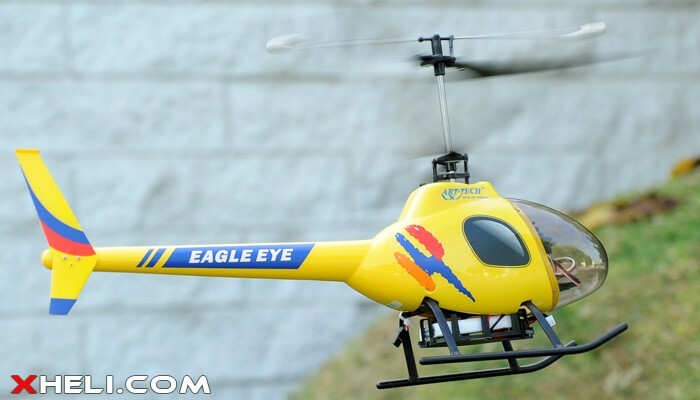 This attribute actually helps make the Eagle Eye stable. 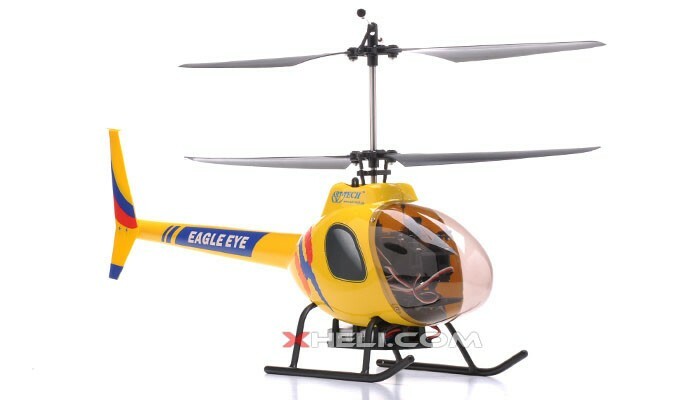 For a heli of this size, the responsiveness on both axes is appropriate. 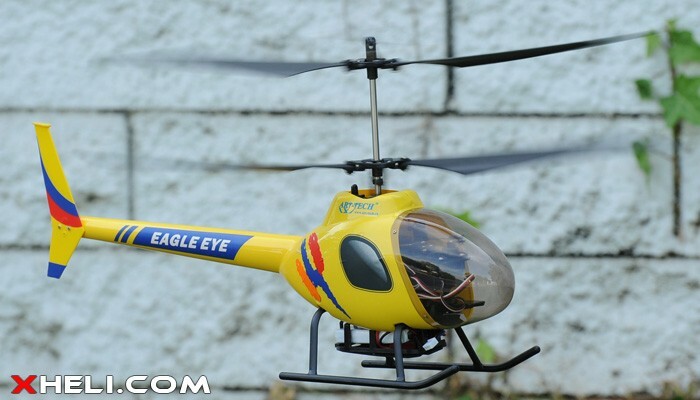 For beginners, flying the Eagle Eye out of ground effect (first few inches off the ground) is not difficult either. 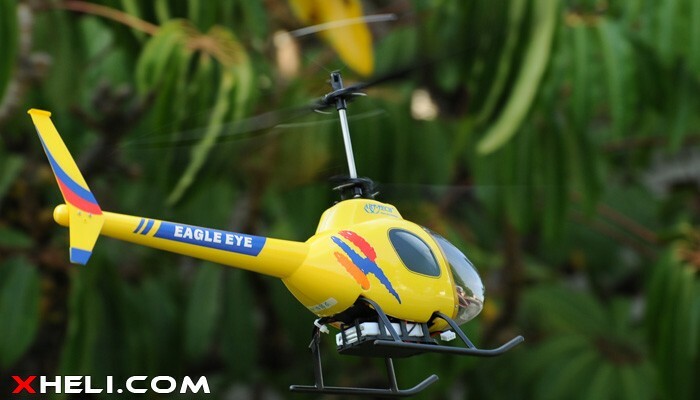 Unlike other micros, the Eagle Eye tends to rise evenly rather than skate across the floor laterally. 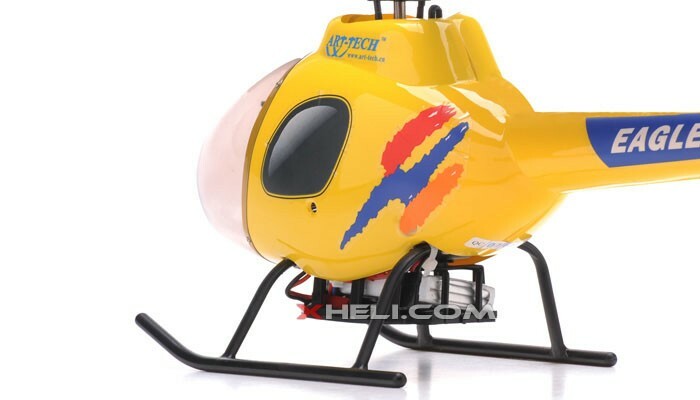 If you punch the throttle, it has no hesitation in climb either. 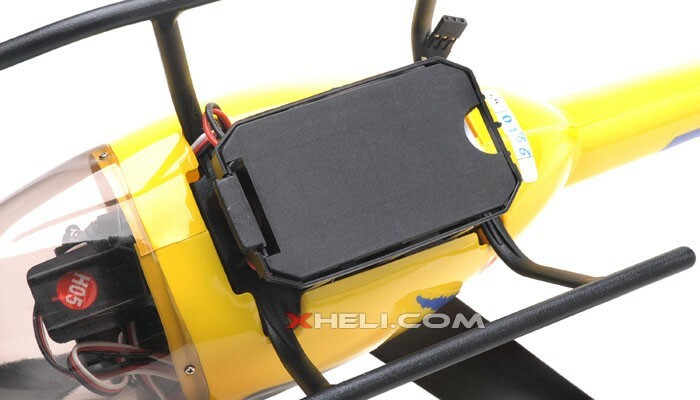 Optional Li- poly battery will help to achieve better performance and longer flight time.